Home › Uncategorized › Don’t call it a comeback! Reacquaint yourself with the finest slice of rock ‘n’ roll badassery since KISS dropped Destroyer in ’76. 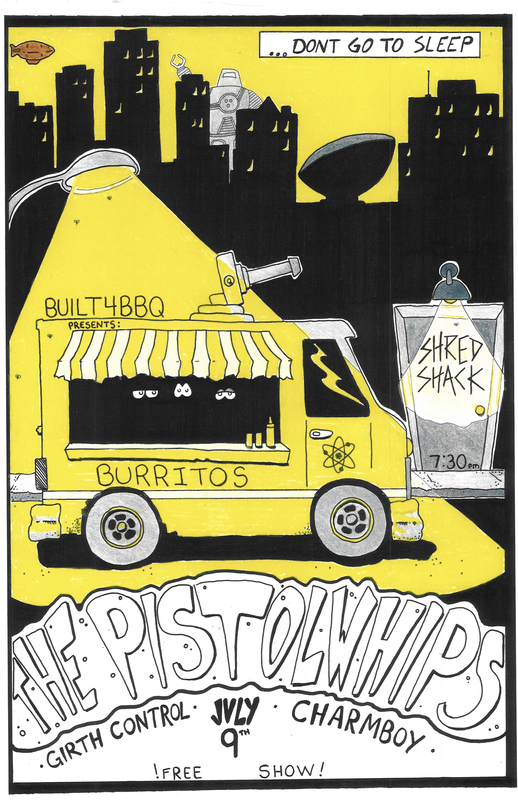 Yes, friends, the prophesied time has arrived, and the mighty Pistolwhips will return to the 518 for one night only: this Thursday, July 9, at The Shred Shack. Charmboy and Girth Control will be on hand to get the party started. Check out the event page here, and drop us a line if you need the address. Another bitchin’ poster by Henry’s Rifle.